ROOFING & WATERPROOFING LTD are Certified Applicators of Noxyde. We believe Noxyde is the best available long term corrosion protection and waterproofing for exposed structures, buildings and roofs, also the perfect product for asbestos encapsulation. NOXYDE is a High Performance, direct to metal/substrate, labour saving, easy, maintenance coating for every environment and application. 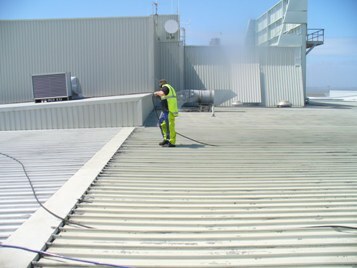 NOXYDE coating for commercial and Industrial roofs is the leading proven product in New Zealand and is very versatile as NOXYDE can be painted over most substrates and existing coatings with minimal preparation. NOXYDE is used extensively throughout New Zealand as an anti-corrosion, durable waterproof membrane for existing rusting surfaces. With correct preparation Noxyde can be applied without using a separate primer. NOXYDE is an easy to apply coating with minimal preparation with waterblasting and power tool cleaning. Proven in New Zealand since 2000. Rust is a big problem in commercial environments due to the harsh marine environment found in New Zealand. Between the wind, rain, salt air and UV, our metal structures get battered daily. For these instances you need a proven heavy duty coating and NOXYDE is just that. Waterproof can be painted straight over rust or corrosion* UV Resistant, extremely robust and used through NZ since 2000. 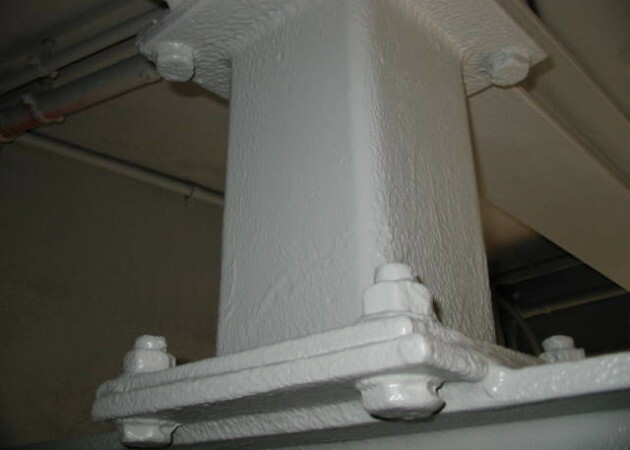 Noxyde is used at Auckland Skytower to protect the structural steel. 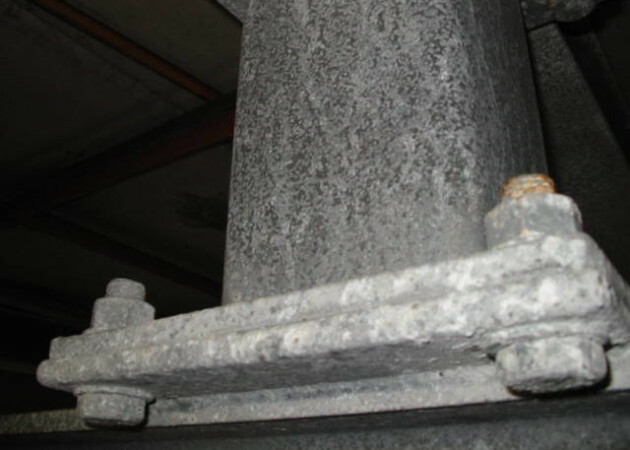 The Galvanised exposed galvanised steel corrodes in Aucklands harsh marine environment as shown in the photo below. You can also see the galvanised steel after the NOXYDE coating was applied. Can be applied directly to prepared rusty steel, and most surfaces. Preparation by high pressure water blasting, as apposed to abrasive blasting. Can be applied over prepared sound existing coatings. Noxyde will remain as a flexible waterproof membrane, with 200% elongation and will not become brittle and cracked. Excellent adhesion and edge coverage. Noxyde can be top coated with polyurethane or acrylic coatings for aesthetic appearance or extra protection. Comes in a variety of colours, and can be factory tinted. 30 years + recorded performance history in NZ, and is still working. NOXYDE® is a single-component waterborne elastic coating with very special anti-corrosive and water-resistant properties. Noxyde® will not flake: it follows the movement of metal roofs as they contract and expand. Noxyde® does not let water in. Its excellent adhesion to metal means no underlying rust can occur even where the Noxyde® layer is mechanically damaged. Spray applied, water based, low VOC, anti corrosive and elastomeric coating. The NOXYDE® family of products are single component, elastomeric coatings that provide unrivalled rust-proofing, corrosion and waterproofing protection. They form a high build, anti corrosive membrane that has a high resistance to water, salt spray, acid and aggressive environments making it virtually unaffected over time. Rust-Oleum Mathys Noxyde combines flexibility, strong adhesion, water resistance, excellent edge coverage and anti-corrosive pigments while requiring minimal surface preparation.